DK offers a great range of driver units, providing accurate reproduction, high intelligibility and dependable performance in commercial sound, signaling and public address loudspeaker systems. All models are suited for DK reflex horns, equipped with the industry standard 1-3/8" - male thread pattern. 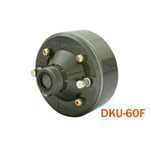 DK driver units are designed for omni-purpose application, from small-medium to high power.